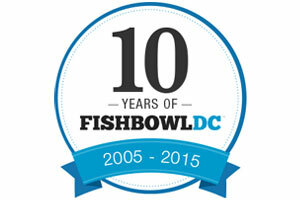 It’s hard to believe it’s already been 10 years since FishbowlDC first popped up in Washington — back when blogging was still somewhat of a foreign concept. Plenty has changed since 2005 and the DC media scene is nearly unrecognizable to the one that we came here to cover a decade ago. To commemorate the occasion, we caught up with some of our predecessors. Throughout the week we’re rolling out Q&As with a handful of them. For this latest installment, we catch up with Patrick Gavin. Gavin was FishbowlDC’s editor from 2005 to 2008. He left FishbowlDC for Politico, where he reported on the inner workings of Washington until last year. Now a documentary filmmaker at work on an upcoming doc, Gavin tells us what he’s learned from all his time inside the Beltway. FBDC: You left Politico in 2014 to go into documentary filmmaking. What drew you to that? PG: I’ve long been interested in filmmaking and did a lot of video work for Politico. An in-depth look at the White House Correspondents Dinner and weekend was both an area of interest of mine and a good opportunity since no one’s done a documentary about it before. FBDC: You covered a lot of ground while at Politico. What are some of the other topics or ideas that have stuck with you from your time there? PG: I was always fascinated by the people who make up permanent Washington: The consultants, lobbyists, staffers, campaign workers and even journalists for whom politics is big business and a great professional move. I think that to understand Washington — for better or for worse — you have to have a good sense of the people behind the curtain. FBDC: In a FishbowlDC interview, you mentioned the best piece of advice you ever received, from Jonathan Rauch, was “breaking into journalism is like selling a $1 million glass of lemonade. It’s tough to do but you only need to sell one.” Was FishbowlDC your million-dollar glass of lemonade? PG: Well, I don’t have a million dollars so, no, but FishbowlDC was a great way to learn about Washington, to find out who some of the top players are and to learn about the nexus of ambition and self-promotion — myself included. You see a lot of the best of Washington and the worst. It was a lot of fun. I could never do it now, however. It’s a young person’s game, given the social calendar and the publishing schedule. FBDC: Speaking of social calendars, you’ve long been known for hanging out at parties, pen and paper at the ready to catch any piece of news or gossip that floats your way. In all your years of doing this, what are the most interesting or surprising things you have learned about DC folks? PG: I’m not sure that I learned anything super interesting that most people don’t already know. (That reporters can be really sensitive and rubbed the wrong way when they’re reported on, etc.) But I did come to appreciate how competitive this town can be; it’s filled with young, smart, ambitious people and you see how hard it is for people to achieve the kind of success they want. You watch as some survive and make it and some don’t and it’s not always a meritocracy. So I came to have a lot of empathy for young people trying to make it in Washington. It’s really hard and takes years of commitment. Unfortunately, sometimes the people with the best hearts and minds don’t always win out, but when they do and find meaningful, satisfying work, it’s really great to see. That’s probably a much more boring answer than you were anticipating.